Opera might not be the most popular browser in terms of market share, but it certainly isn’t short of innovative features. Its latest 10.5 version was made available for Windows-running computers today and according to the developers it should be the fastest desktop browser alive. The 10.5 version of Opera also allows Private tab or even private window browsing, where the browser automatically clears the traces of your browsing activities. 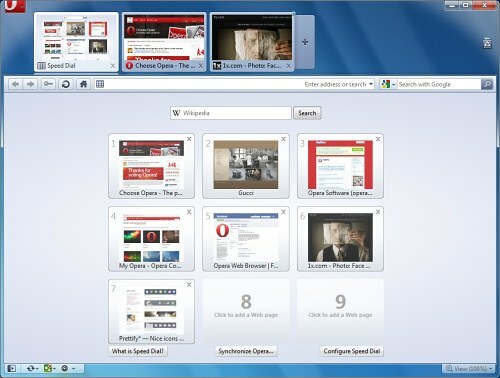 Finally, the developers have reinforced the Windows 7/Vista platform integration, making Opera 10.5 compatible with Aero Glass, Aero Peek and Jump Lists. If you, like me, are already considering a break from your regular browser, you can get the Opera 10.5 from the company’s official website, by following the link. So Opera find themselves in a pretty good position before the Choice Screen update comes along this spring. I remind you that the European Commission forced Microsoft to offer its users a choice of several browsers rather than offering them Internet Explorer by default.